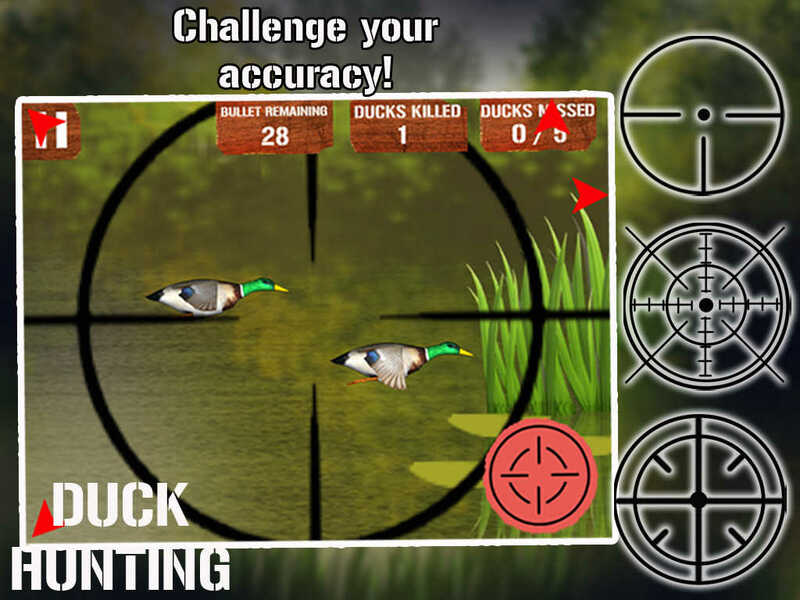 Duck Hunting: Angry Shooting Game is an endless duck hunting game where you hunt ducks with differently powered guns! 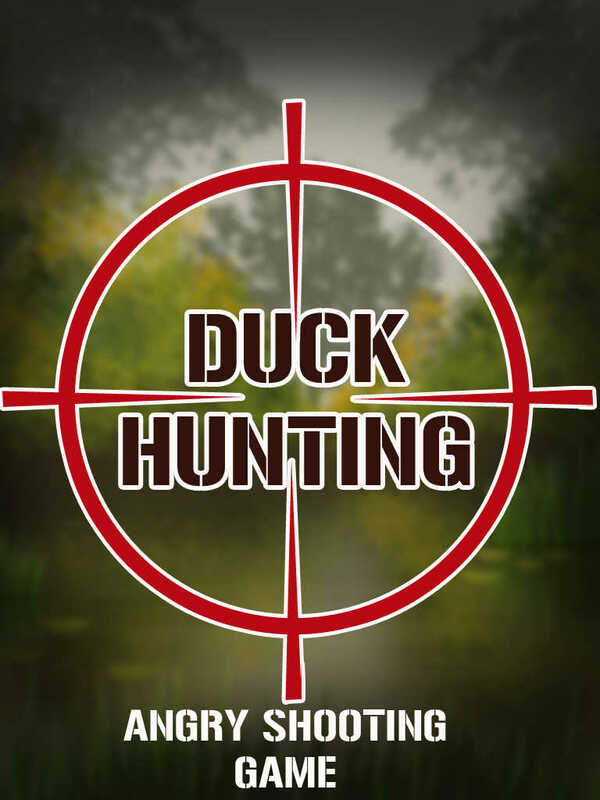 But are you an ace shooter and kill all the birds before they escape? 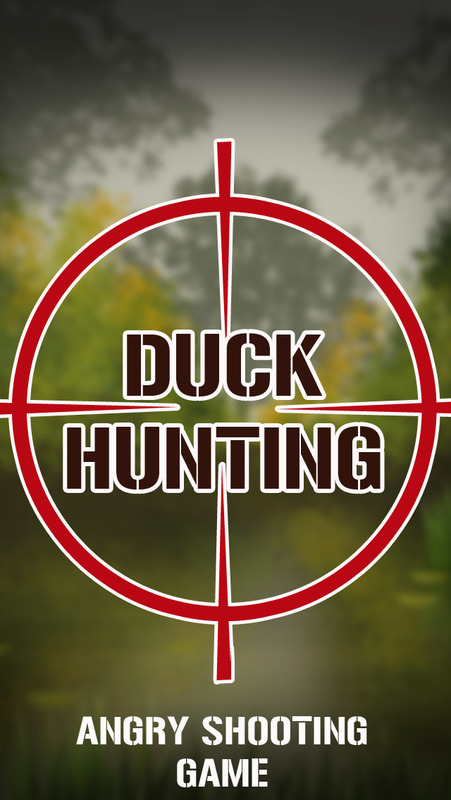 Objective is to destroy all ducks hiding in bushes! 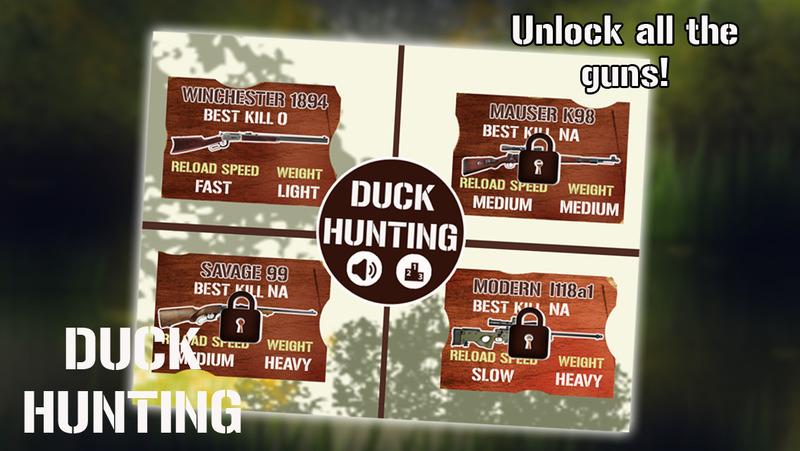 To do so simply aim, tap, tilt and target the ducks using guns with different speed and weight. But beware, the game ends if 5 ducks escape! 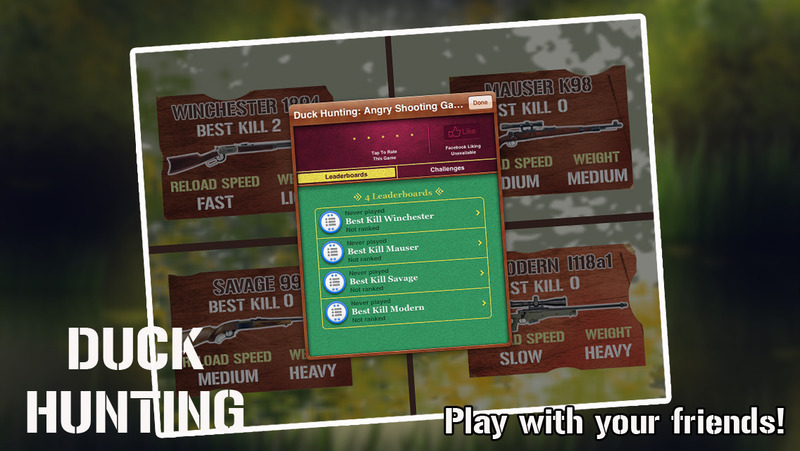 If you love playing action/hunting games like Angry Birds, Duck Hunt Mario,Deer Hunting, Duck Hunting Ninja, Zombie duck hunting,Crazy Fist, Sniper shooting,Bow & Arrow then you shouldn’t miss out this amazing Duck Hunting: Angry Shooting Game !! 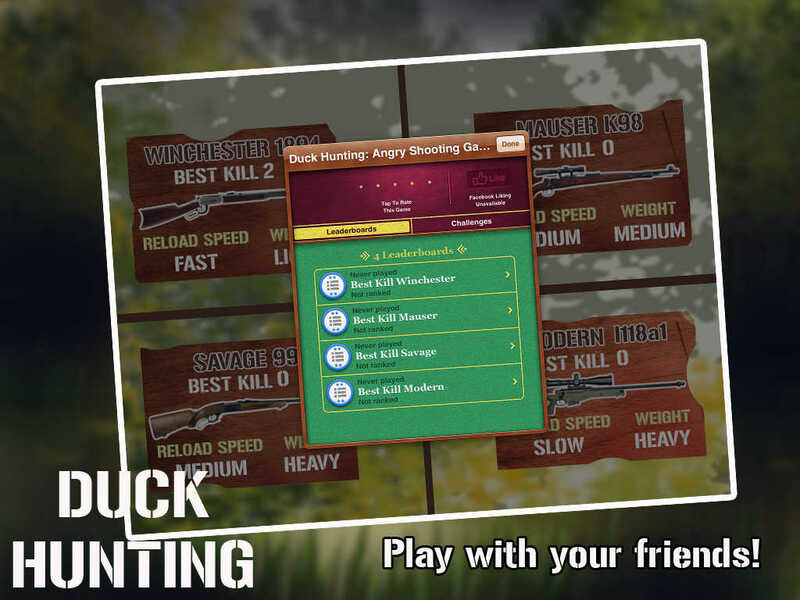 Get ready to aim & shoot; compete against friends and be the master hunter. Download the game for your iDevice now! Liked this game? Leave us your helpful feedback and rating! Now featuring Cashplay enabled real-money tournaments. - Play for Cash in a range of real money tournaments. Cashplay tournaments won every day! Select Cashplay option to play in real cash tournaments within the game.